Jules Stewart gives us an insight into how the Germans attempted to destabilise the British strategic position in Afghanistan during the Great War. On a state visit to Berlin in 1928, the Emir of Afghanistan Amanullah Khan was shown a display of the latest in German technology, which included a ride in a state-of-the-art railway locomotive. The emir was so enthusiastic in his praise for this marvel of Teutonic engineering that the Germans decided to christen it the Amanullah-Wagen. When the monarch alighted from the locomotive to greet the attendant throng, a strange thing happened. A man of severe Prussian military demeanour broke with protocol to step out of the crowd and embrace the king. Amanullah was most pleased to see Werner Otto von Hentig, looking hale and hearty at 42. 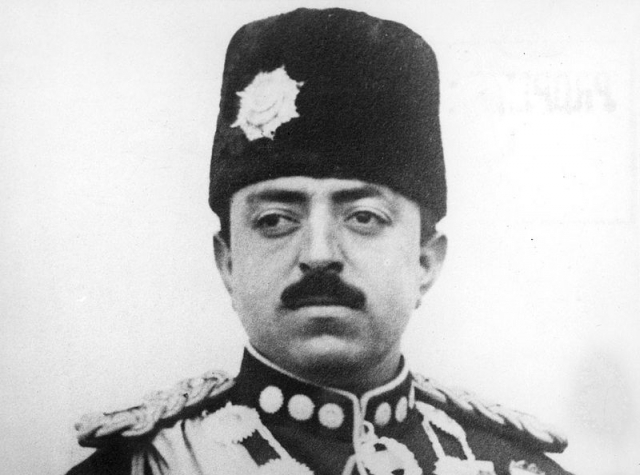 The emir remembered Hentig as the diplomat and adventurer whom he had met 13 years previously, at the height of the First World War, when the German agent had come to Kabul to try and persuade Amanullah’s father, King Habibullah, to launch an invasion of British India. By the summer of 1915 the Great War had ground to a stalemate in Europe with Germany, to all appearances, holding the upper hand. Quite literally, in fact, since the Germans occupied the high ground in most the of trench-lines and were therefore able to dig eeper before hitting the water table and thus establish a more secure defensive network along the Western Front.